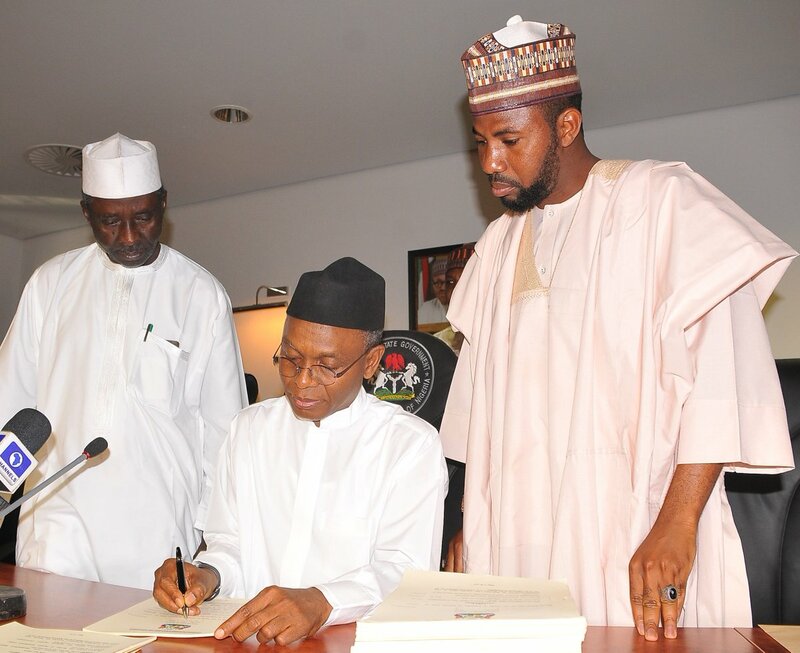 KSHA Breaks Record… Passed Executive Bill Seeking To Spend N12B in Less an Hour! An Executive Bill seeking to spend N12 billion from the State coffers brought before the Kaduna State House of Assembly by the Kaduna State Government achieved an unimpressive feat of been passed ‘within minutes’. Elanza News reports that the Bill, seeking for the appropriation and approval to spend N12 billion from the Paris Club refund was passed by the Members “within few minutes after first reading.” The Bill was presented on the floor of the Kaduna State House of Assembly on Wednesday. Reports has it that the Bill seeking to spend the N12 billion passed first, second and third reading within minutes, even as the Kaduna State Government has not publicly inform its citizens what it will do with the first and the second trenches of the Paris Club refund funds. Some residents who were at the gallery of the Kaduna State House of Assembly when proceedings were ongoing, expressed shock over the episode. This is because for a Bill to be passed by Members, the legislative procedure is that it must go through first reading. And after the first reading, Members are given copies to study. The Bill then goes for a second reading and Members will debate on it. It will then be send to the relevant committee. The Committee on Rules and Business will give a date in which the Bill will be presented on the floor of the House for adoption, and it will be due for third reading. After the third reading, the Bill will might then be passed. In all the processes, Members are at liberty to throw out the Bill if they are not satisfied with its provision or if the Bill is not in the interest of the people. “Surprisingly, this Bill seeking to spend N12 billion was passed in less than an hour today,” a resident bemoaned. However, a Member who was said to have considers what happened as absurd, walked out of the Chamber. It was gathered that eight Bills where listed on the floor of the Kaduna State House of Assembly on Wednesday, reports Elanza News.